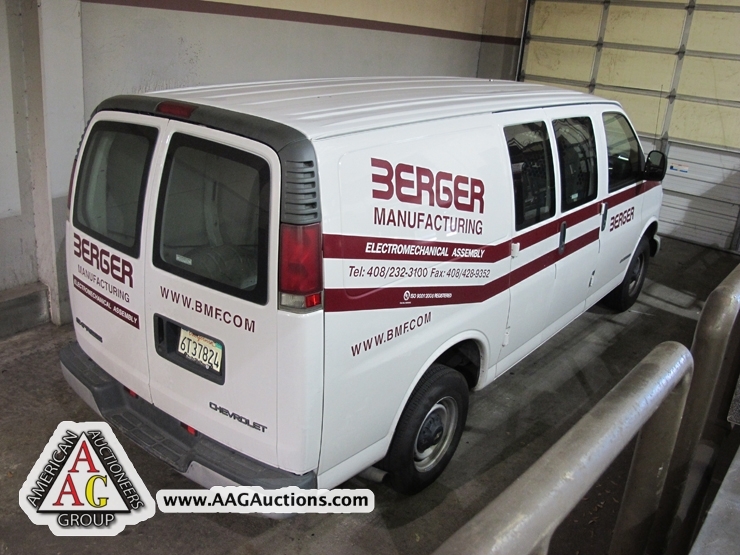 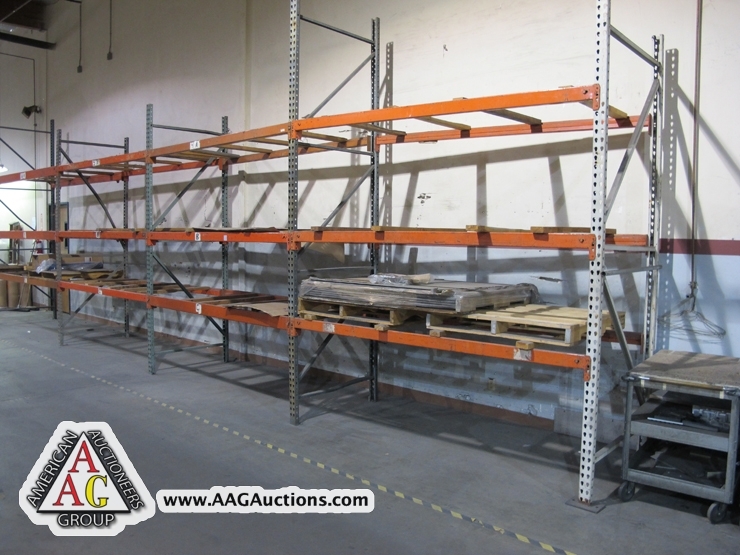 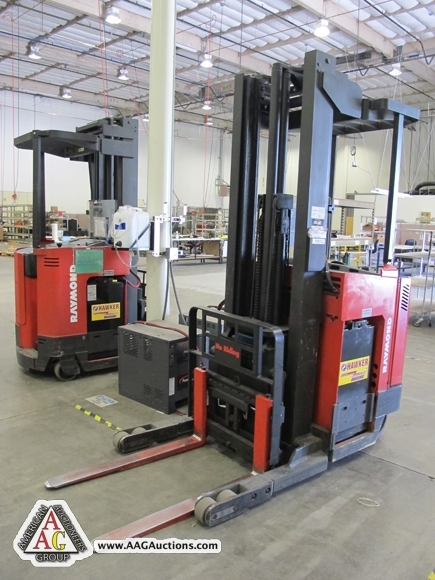 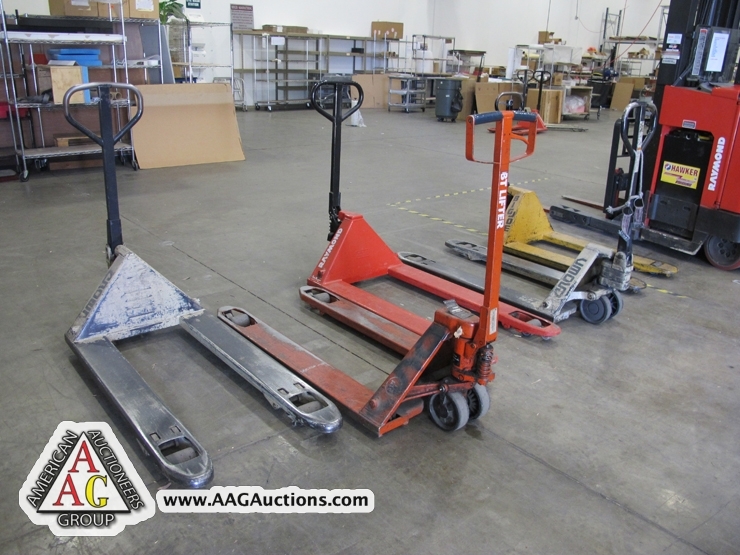 AUCTION DATE: TUESDAY, AUGUST 21, 2012 – STARTING @ 11:00 A.M.
2) RAYMOND 3000 LB ELECTRIC STAND UP FORKLIFT WITH REACH. 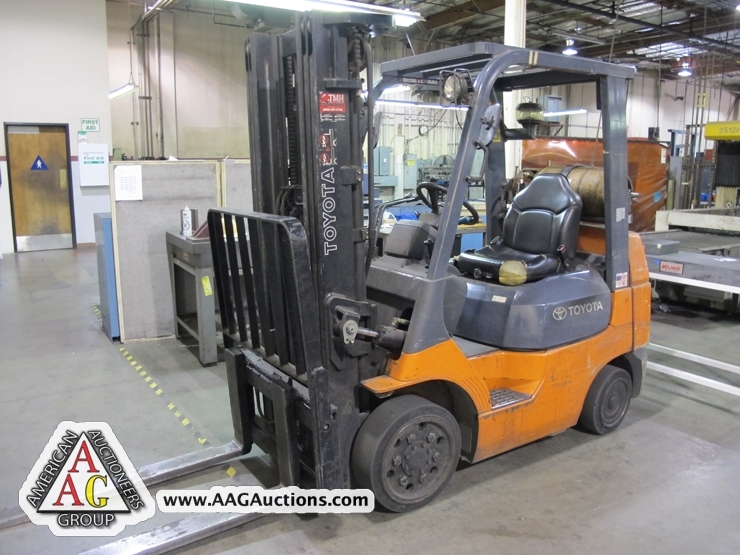 TOYOTA 7FGCU25, 5000 LB CAP LPG FORKLIFT WITH 3 STAGE. 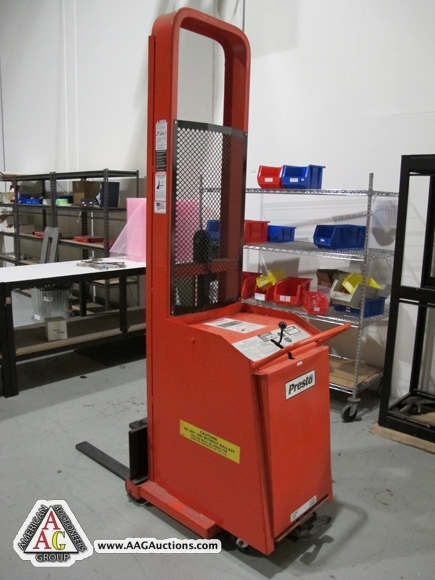 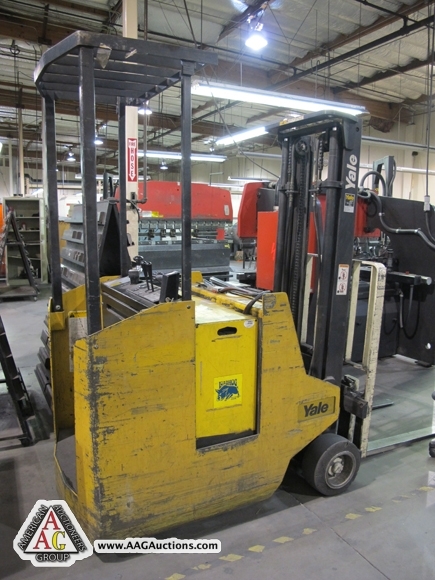 YALE 3000 LB STAND UP FORLKLIFT, ELECTRIC. 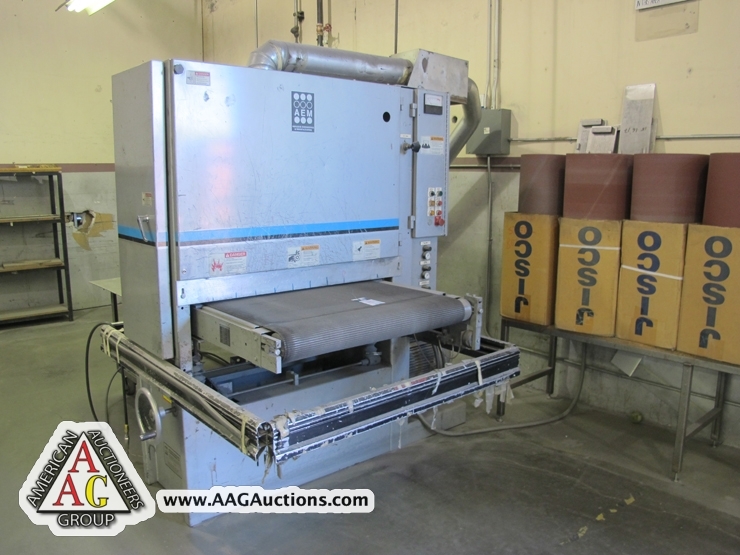 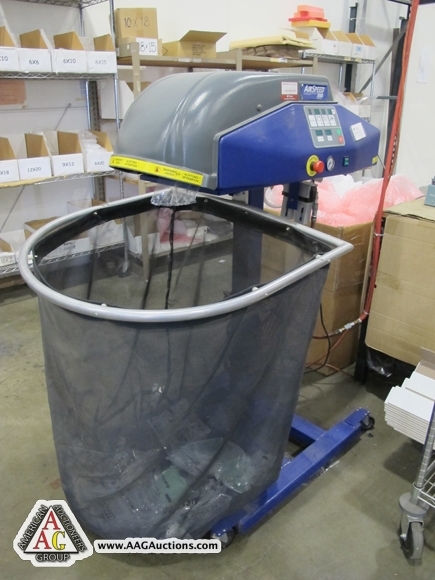 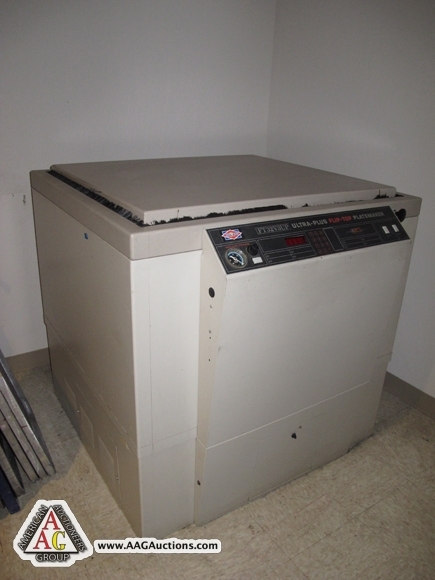 AIR SPEED 3000 AUTO BAGGING MACHINE, S/N 99949135. 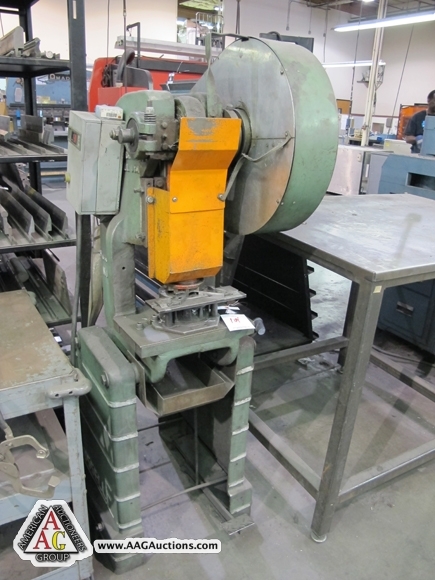 PANDUTI CRIMPING MACHINE MODEL CP-861. 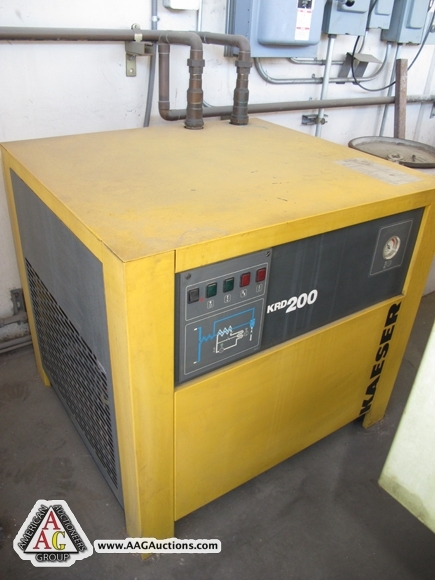 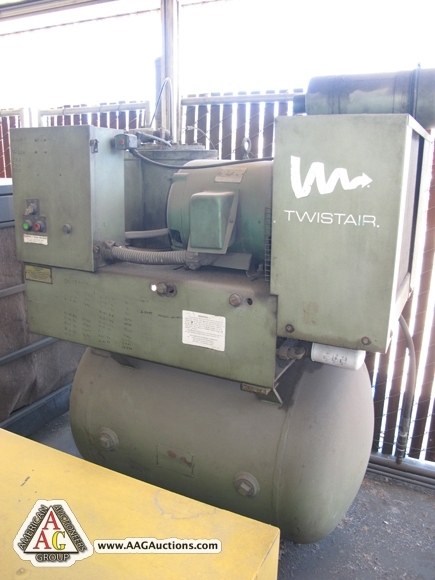 KAESER BS-51, 40HP ROTARY AIR COMPRESSOR WITH DRYER. 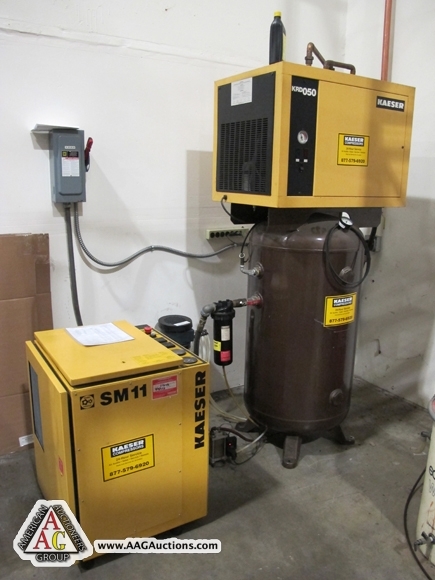 KAESER SM11, 10HP ROTARY AIR COMPRESSOR WITH DRYER AND TANK. 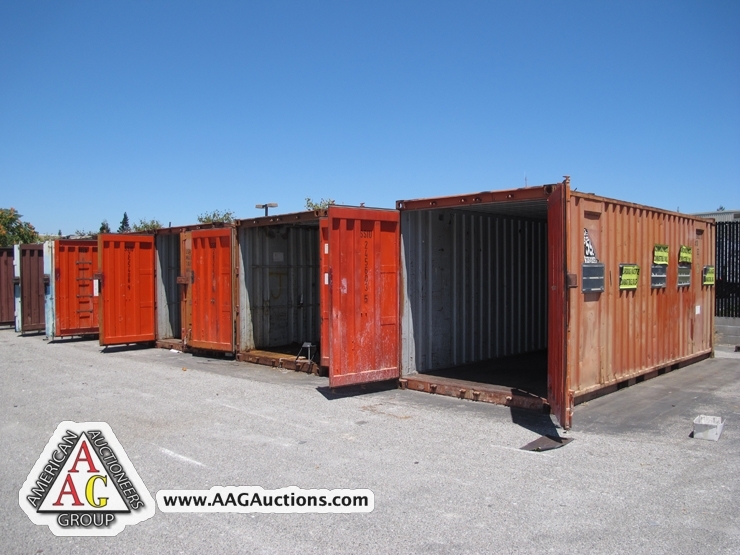 8) 20 FT SHIPPING AND STORAGE CONTAINERS. 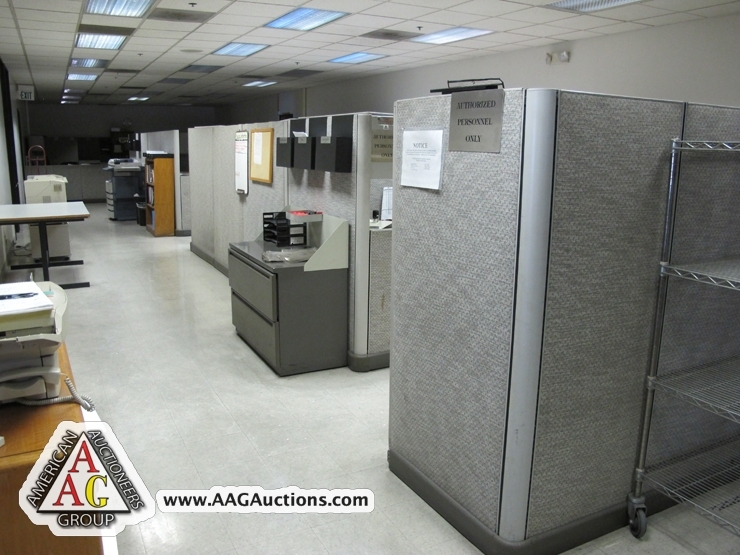 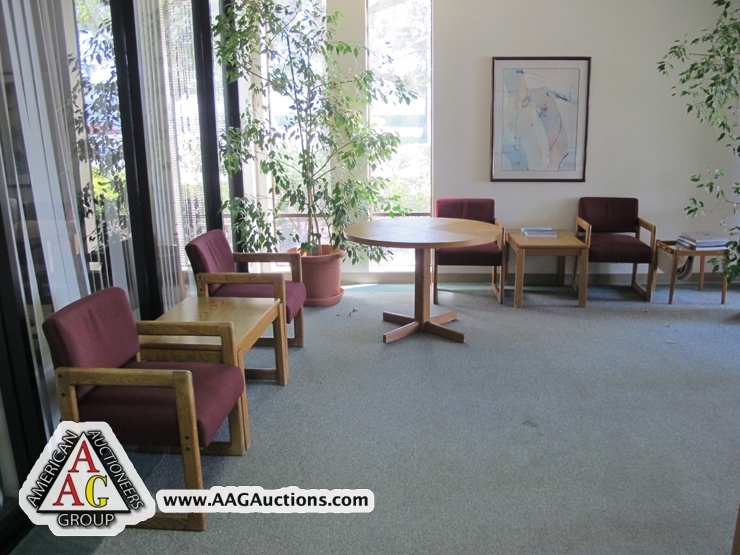 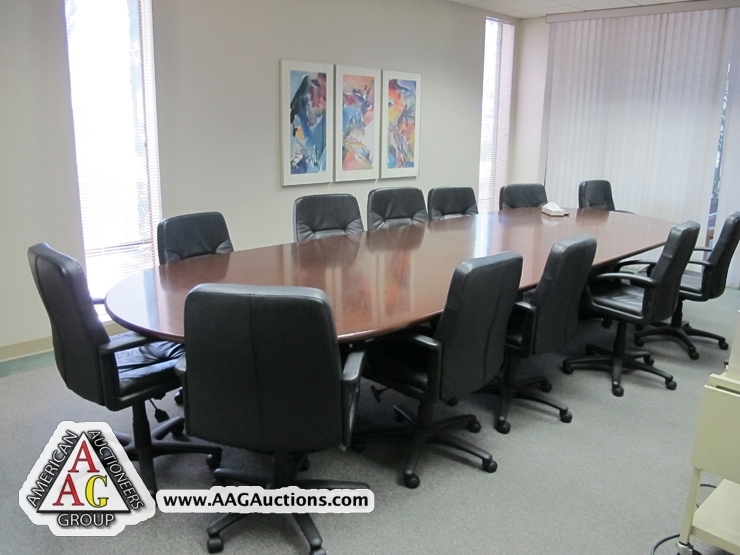 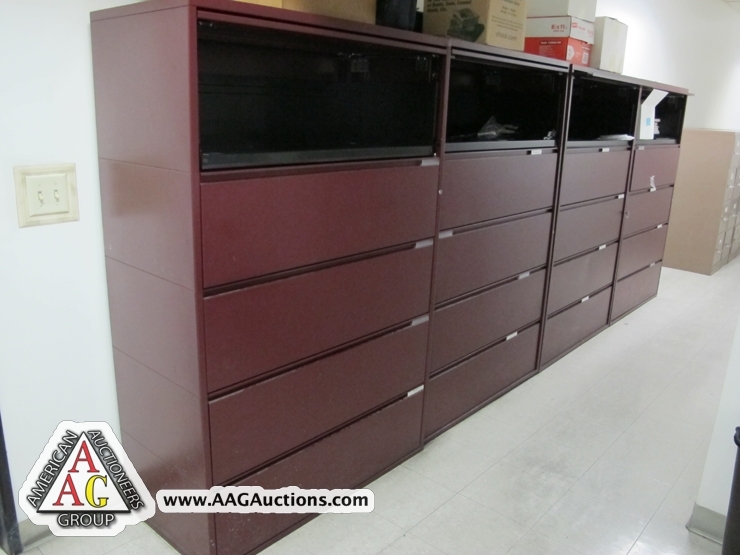 OFFICE EQUIPMENT, EXECUTIVE OFFICES, CHAIRS, DESKS, DIVIDERS, CONFERENCE ROOM TABLES, COPIERS, COMPUTERS, BLUE PRINT MACHINE, PLOTTERS AND ETC. 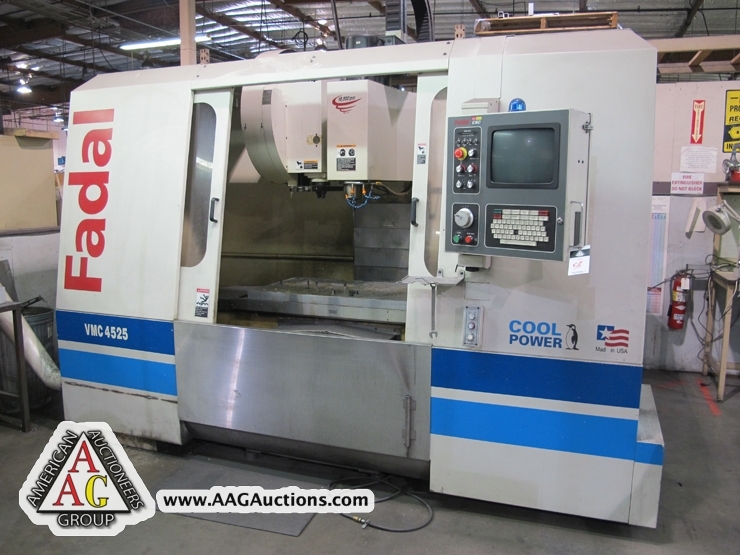 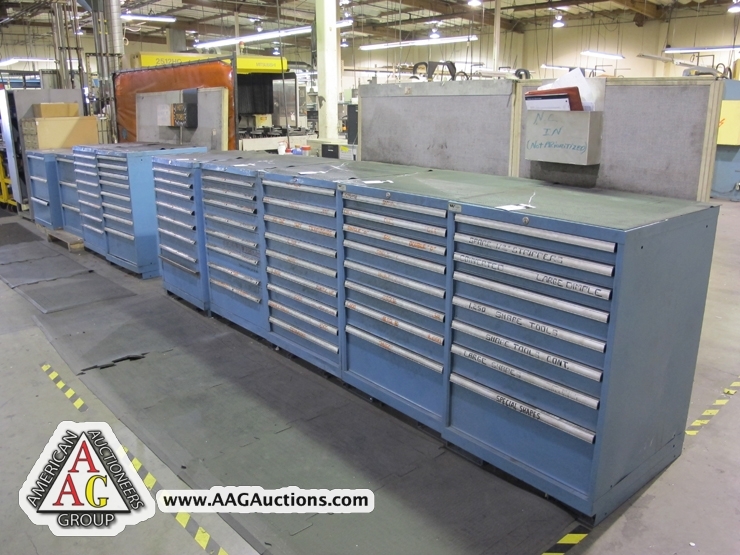 2000 FADAL VMC 4525 CNC VMC, CT 40 TAPER, 10,000 RPM, SIDE MOUNT TOOL CHANGER, 24 ATC, S/N 012000050711. 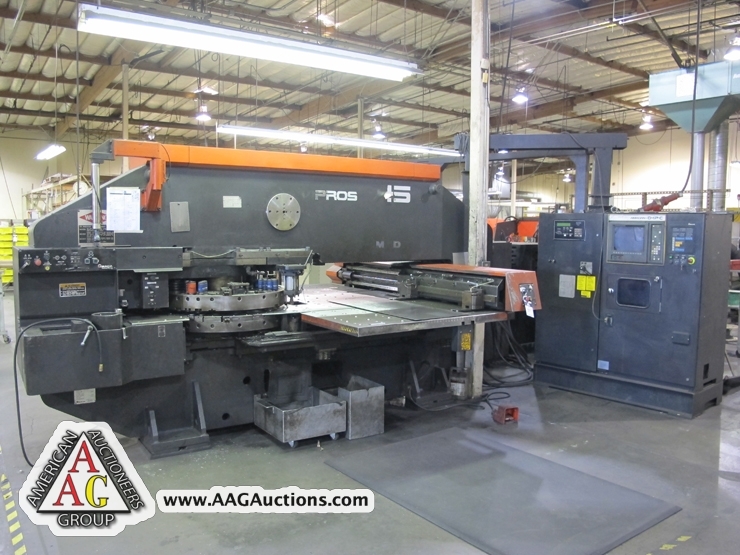 1995 FADAL VMC 4020HT, CT 40 TAPER, 21 ATC, S/N 9512593. 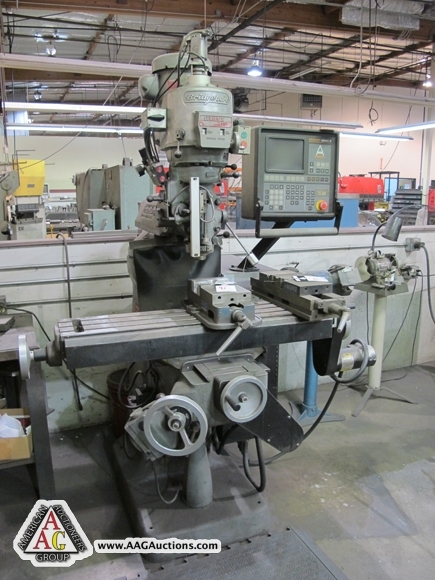 BRIDGEPORT CNC MILL WITH EZ TRAK PLUS CONTROL, 2 HP. 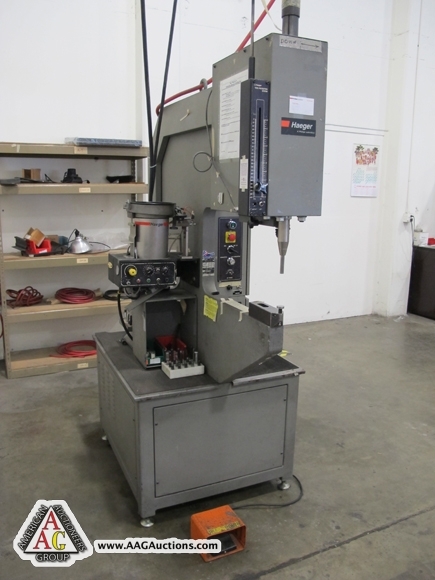 BRIDGEPORT CNC MILL WITH CRUSADER SERIES M CONTROL. 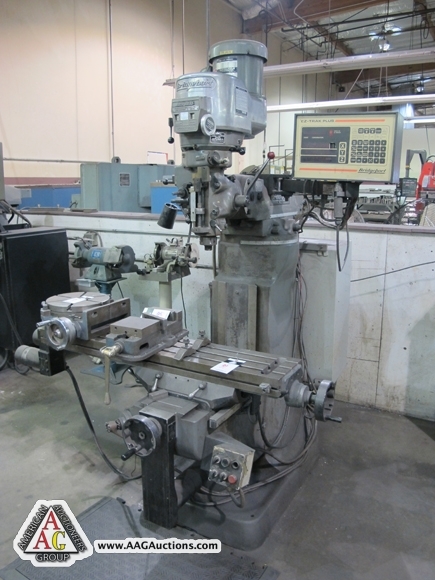 BRIDGEPORT VERTICAL MILL WITH POWER FEED TABLE, CHROME WAYS. 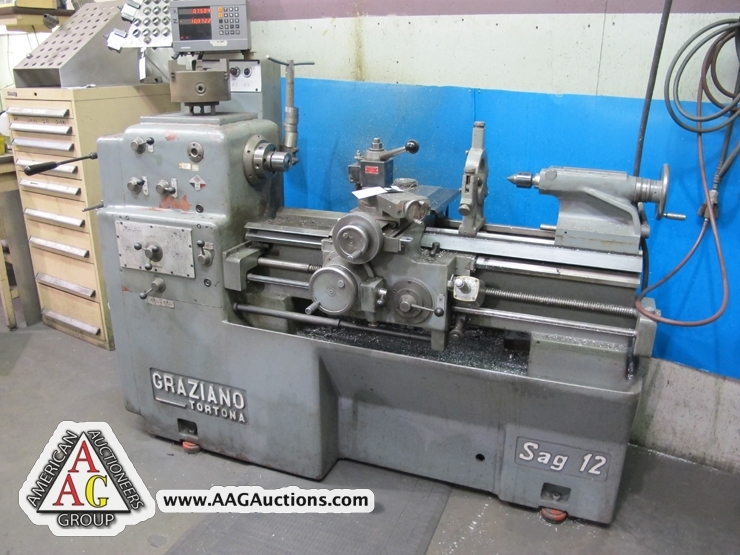 GRAZIANO SAG 12 ENGINE LATHE WITH DRO. 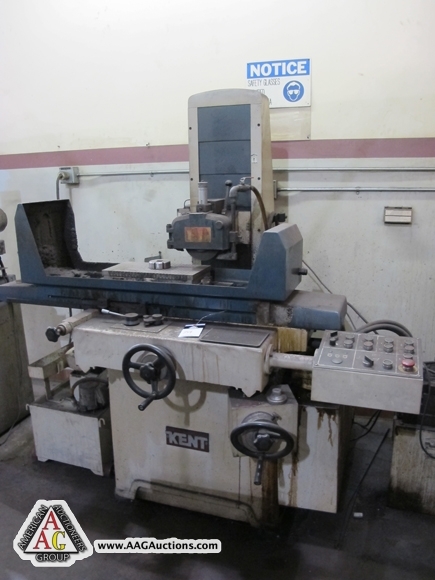 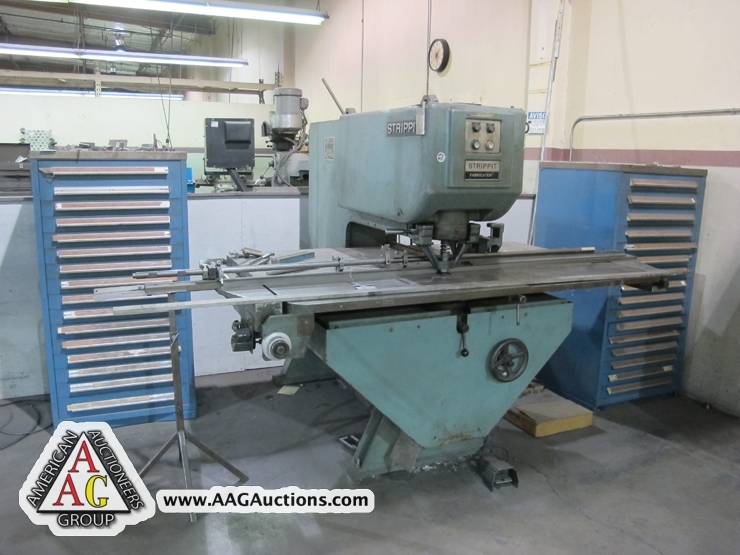 KENT MODEL 250 AHD 8 X 16 HYD SURFACE GRINDER. 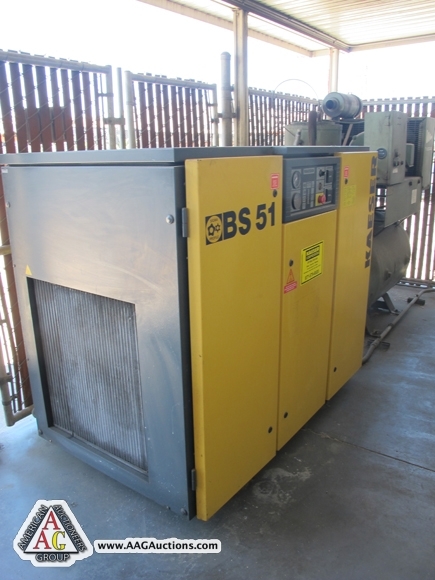 B & S, 6 X 12 SURFACE GRINDER. 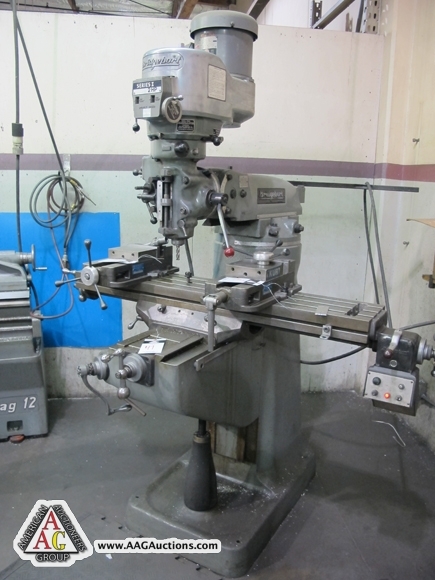 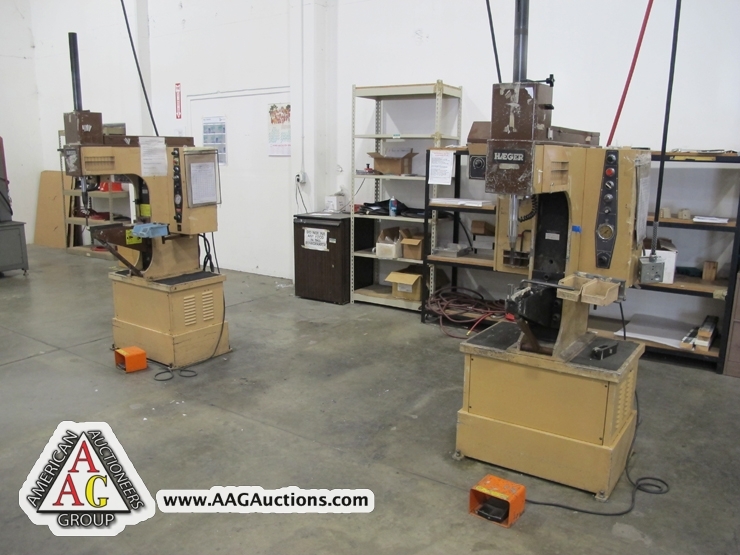 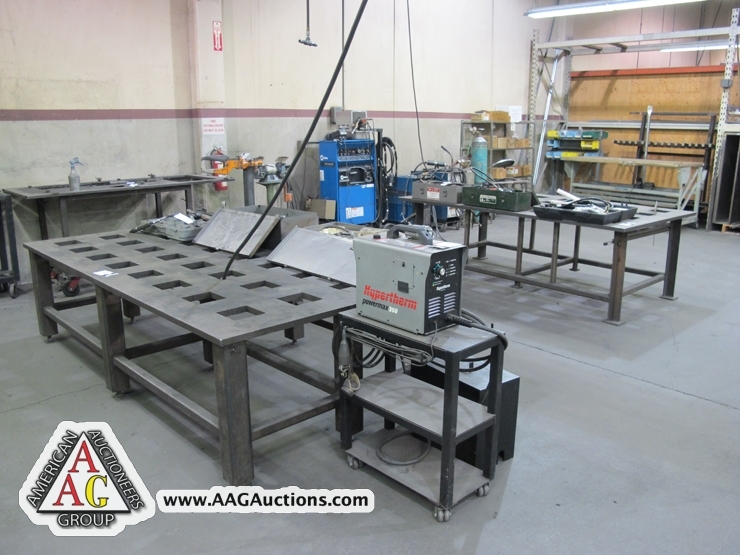 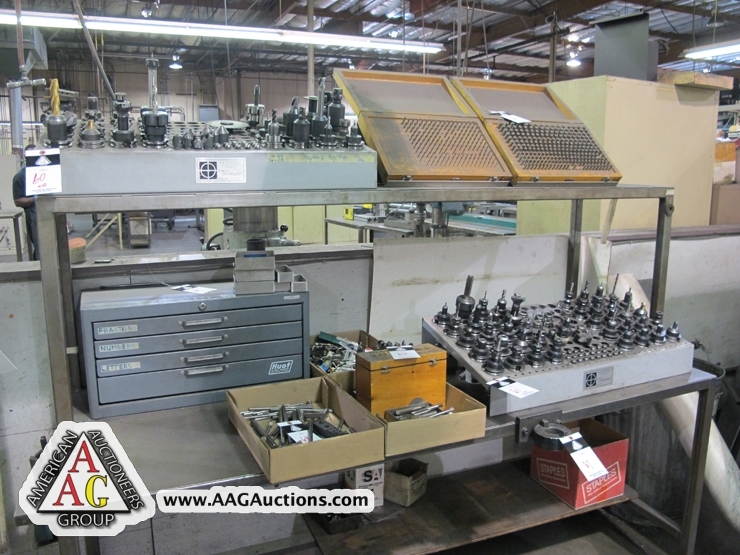 GRINDERS, BALDOR TOOL GRINDERS, DRILL PRESSES, SANDERS, RADIAL DRILL AND ETC. 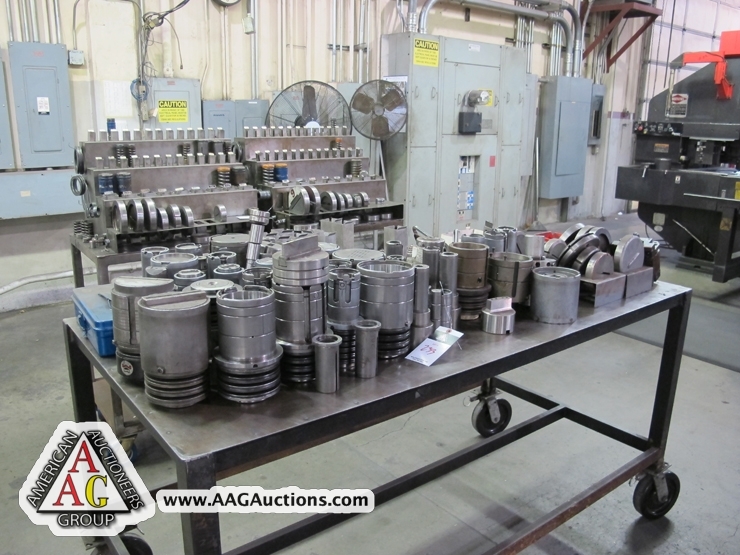 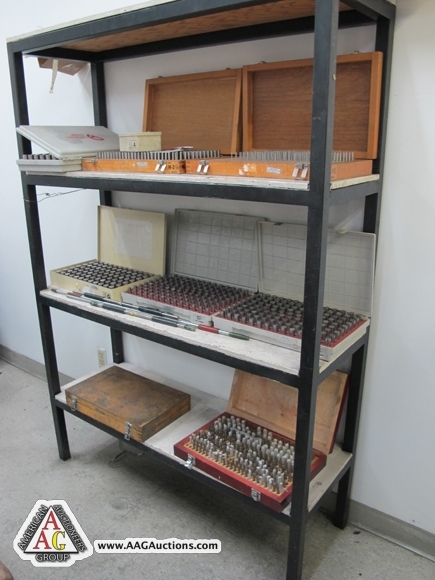 VARIOUS CT 40 HOLDERS, TOOLING, VISES, ROTARY TABLES, INDEX, END MILLS, CUTTERS, TOOLS, POWER TOOLS, HAND TOOLS, WELDING TABLES, CARTS, RACKS AND ETC. 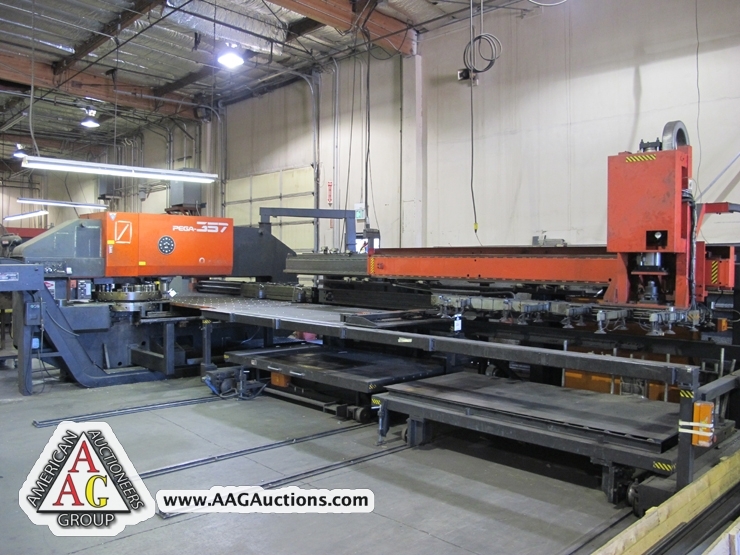 1999 MAZAK SUPER TURBO X510HI-PRO CNC LASER, (126.2’’ X 60.8’’ X 3.9’’) (XYZ), 2500 WATTS MEZATROL L PLUS CONTROL, WITH LOAD AND UNLOAD SYSTEM, S/N 146519. 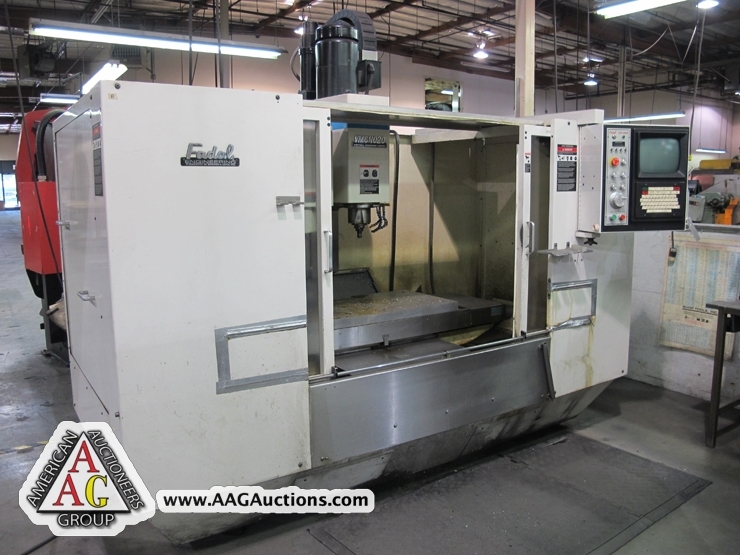 1992 MITSUBISHI MODEL 2512HC CNC LASER, 4 X 8 CAPACITY, 1600 WATTS OUTPUT, 3000 WATTS PEAK OUTPUT, S/N 1225HC038. 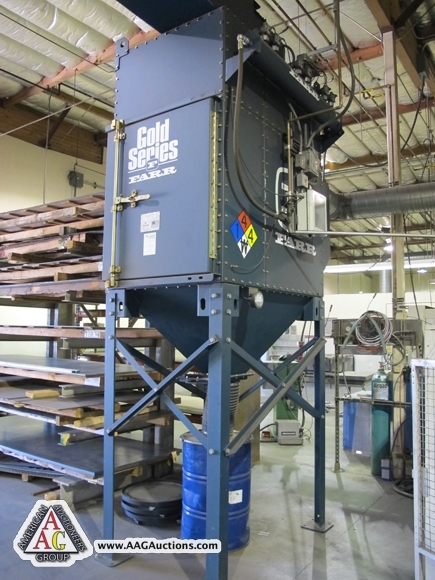 FARR GOLD SERIES GS-6 DUST COLLECTOR. 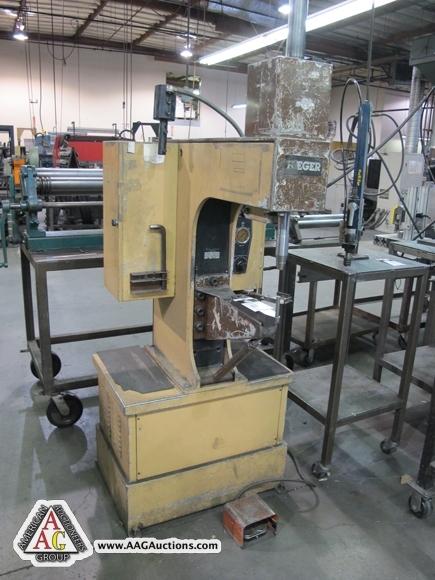 AMADA CS-220 HYD 10GA CORNER NOTCHER. 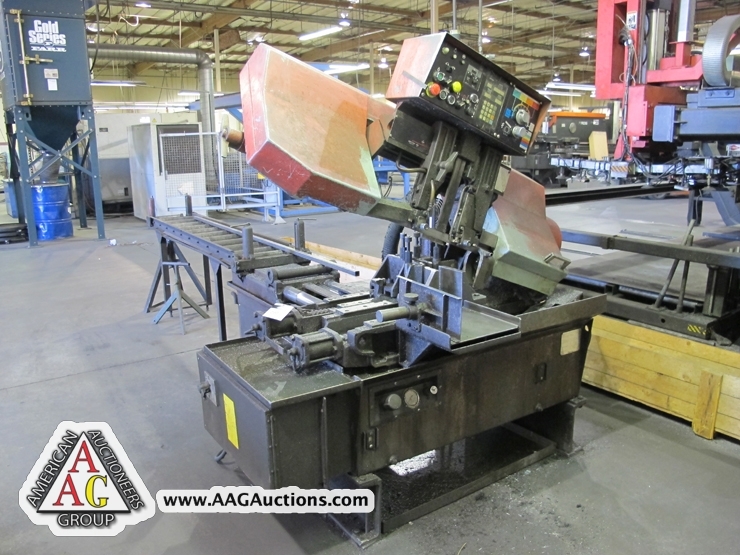 1994 AMADA TEG-160ES DIE GRINDER. 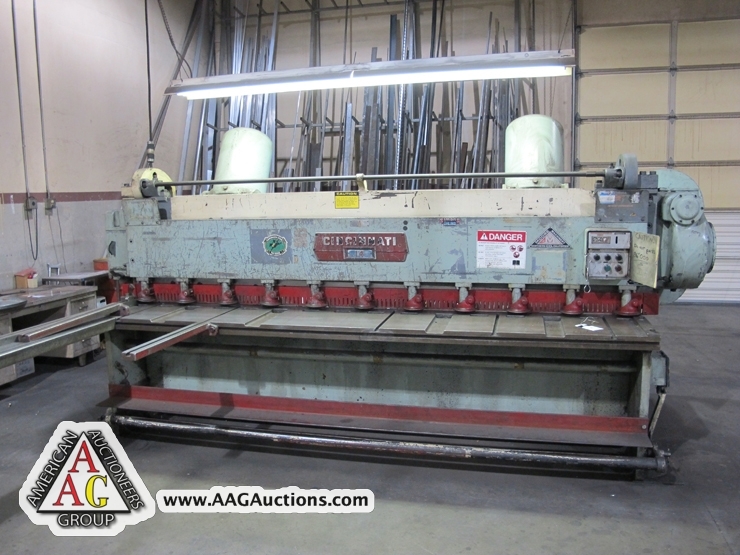 1989 AMADA HFA-250W FULLY AUTO HORIZONTAL BAND SAW. 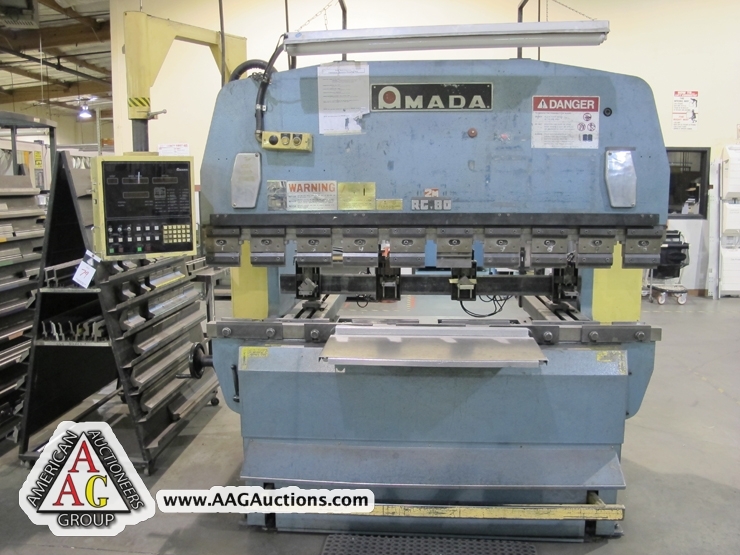 AMADA CTS-54 CNC TAPPING MACHINE. 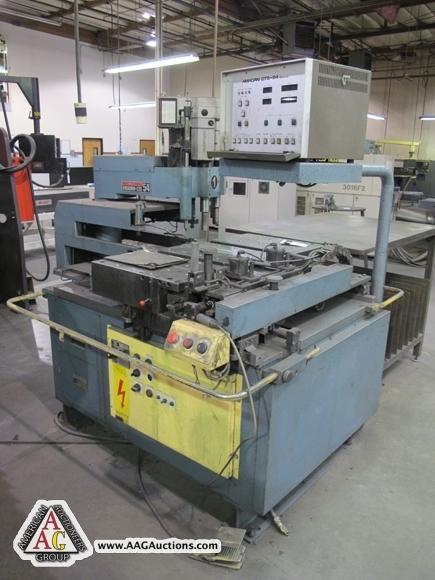 1993 TOYOKO APB-286, CNC HYD PRESS BRAKE WITH TNC-ACI CONTROL. 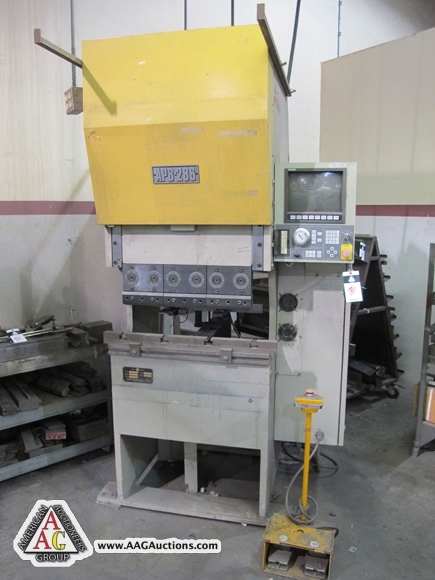 2) HAEGAR MODEL 824, 8 TON HYDRAULIC INSERTION PRESS WITH BOWL FEEDS. 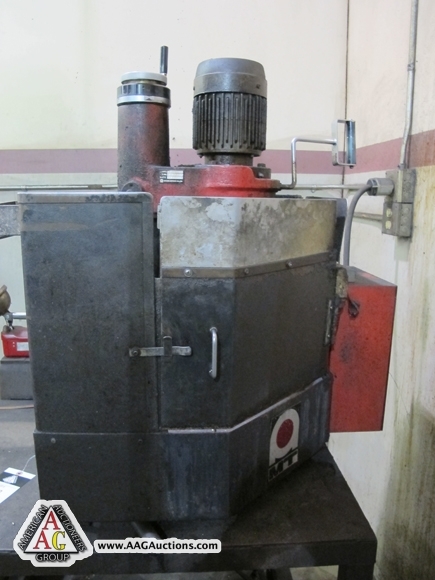 4) HAEGAR HP-6, 6 TON HYDRAULIC INSERTION PRESS. 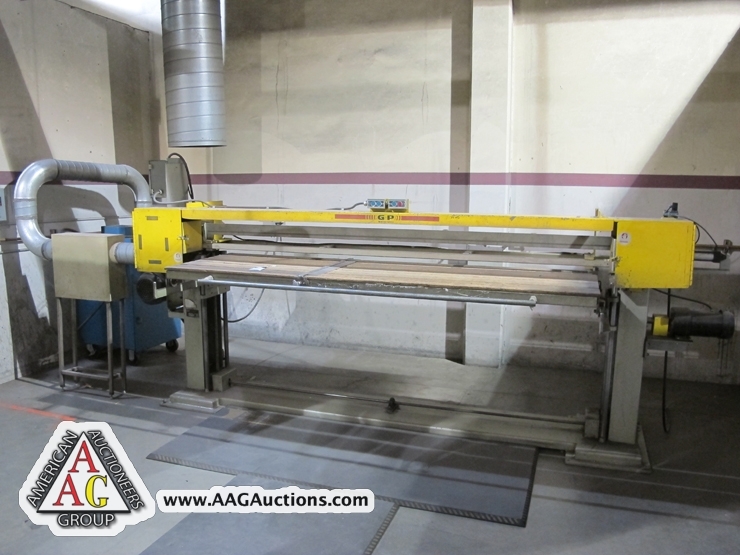 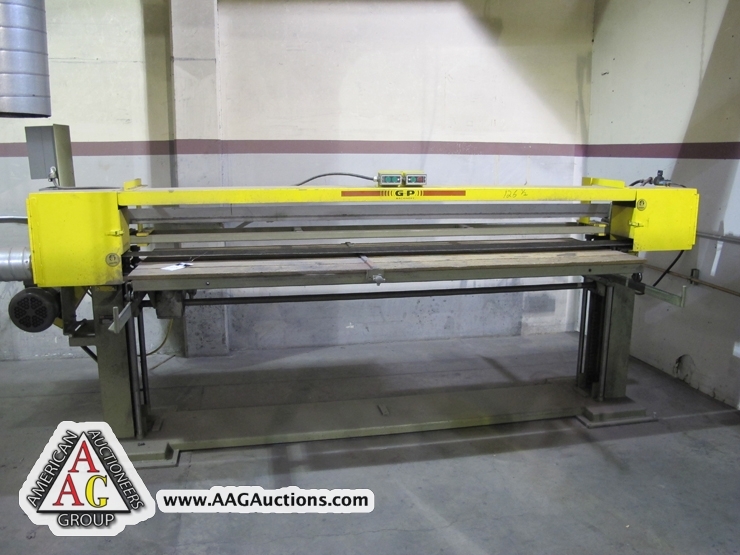 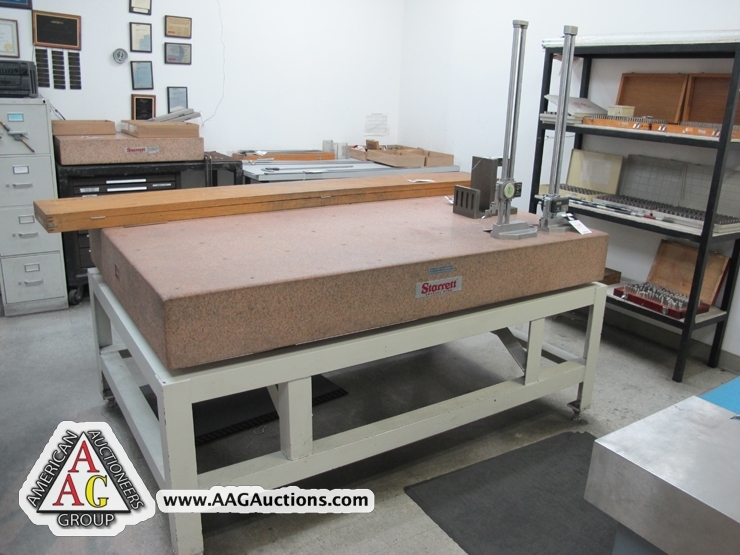 AEM 37’’ WIDE BELT SANDER, MODEL 30137, S/N 000351. 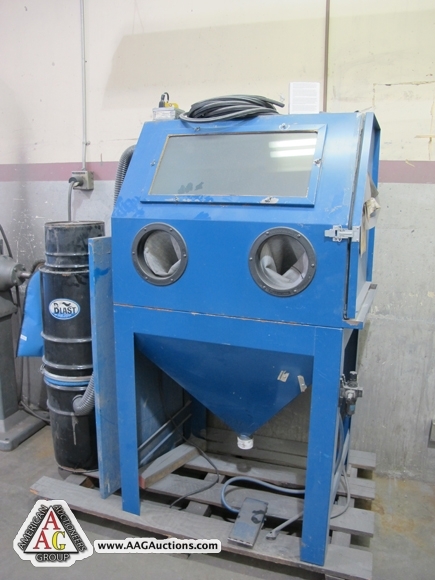 4) GP MACHINE STROKE SANDERS WITH DUST COLLECTORS. 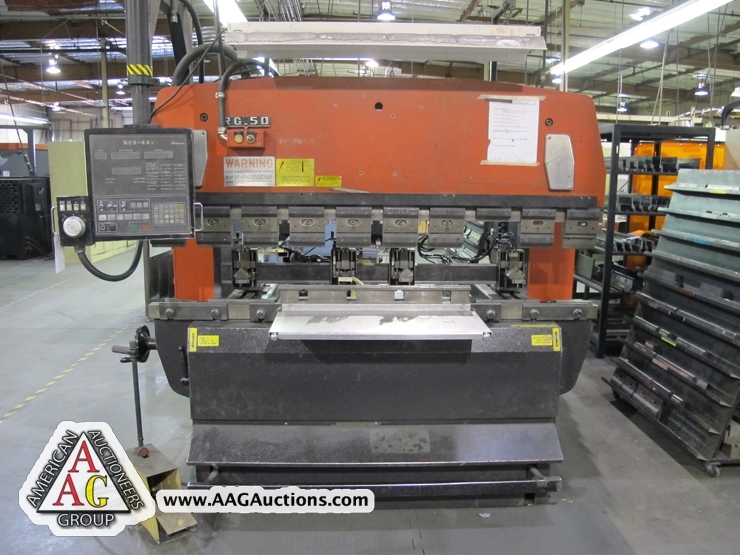 1994 AMADA VIPROS 357 CNC TURRET PUNCH, 30 TON, THICK TURRET, 58 STATION, AUTO INDEX, O4PC CONTROL, S/N 35710770. 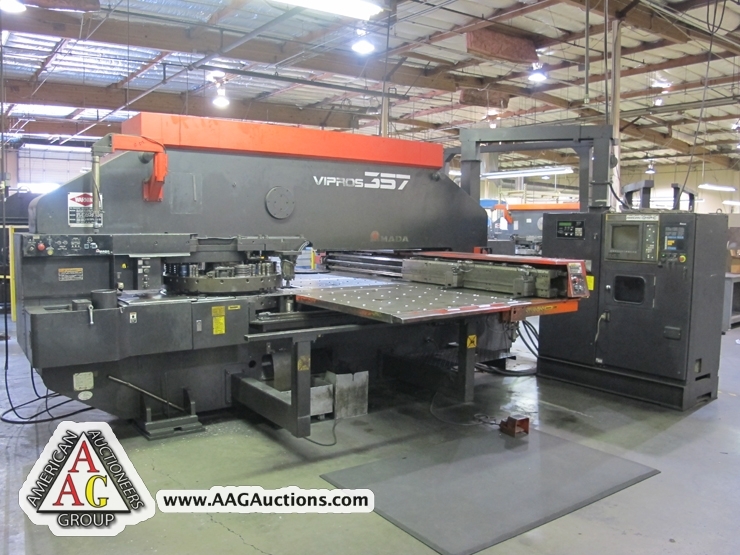 1992 AMADA VIPROS 345 CNC TURRET PUNCH, 30 TON, THICK TURRET, AUTO INDEX, 58 STATION, O4PC CONTROL, S/N AVP45001. 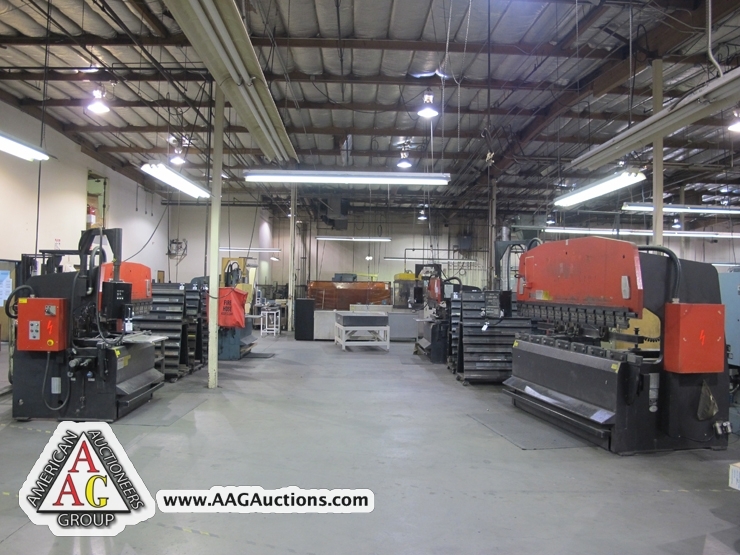 1989 AMADA PEGA 357 CNC TURRET PUNCH, 30 TON, THICK TURRET, AUTO INDEX, 58 STATION, O40C CONTROL, WITH AMADA LOADER, S/N AA57260. 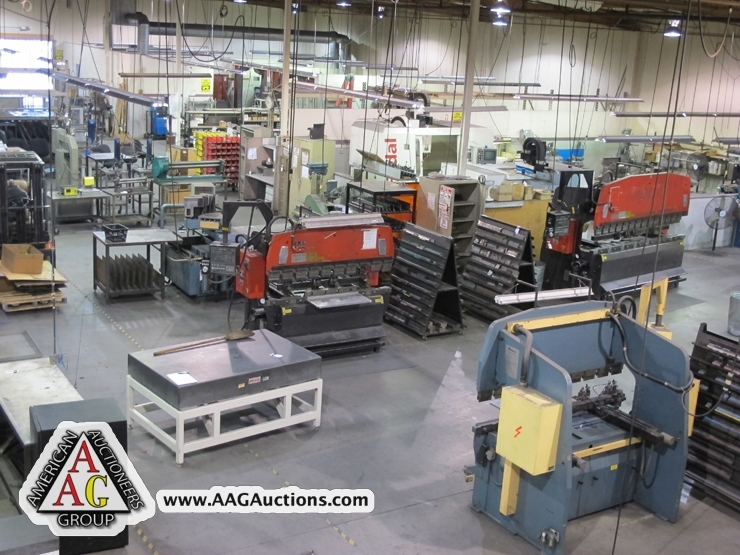 1987 AMADA PEGA 357 CNC TURRET PUNCH, 33 TON, THICK TURRET, AUTO INDEX, 58 STATION, FANUC 6M CONTROL, S/N AA570101. 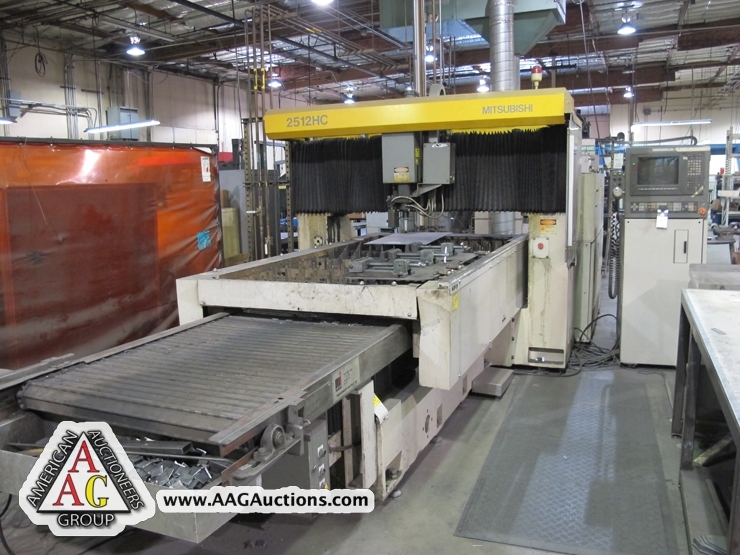 1989 AMADA RG-100, 10FT X 100 TON CNC HYD PRESS BRAKE, WITH 3 AXIS NC9EXII CONTROL, S/N 103910. 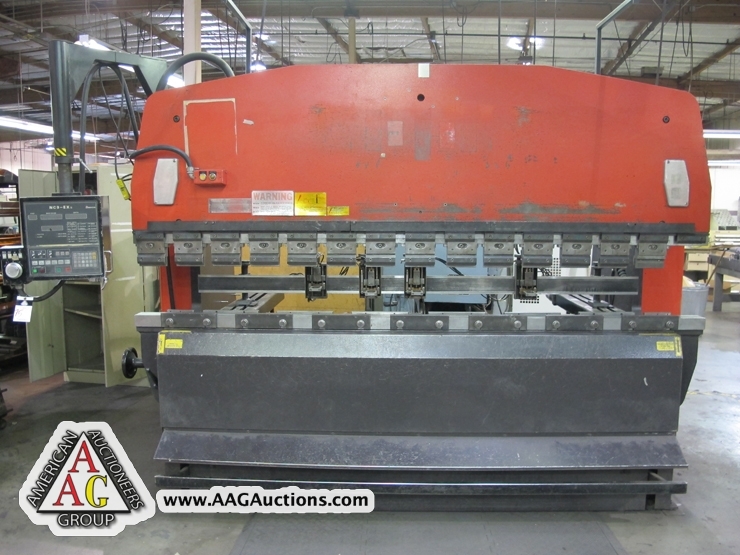 1994 AMADA RG-80, 8FT X 80 TON CNC HYD PRESS BRAKE, WITH 3 AXS NC9EXII CONTROL, S/N 810583. 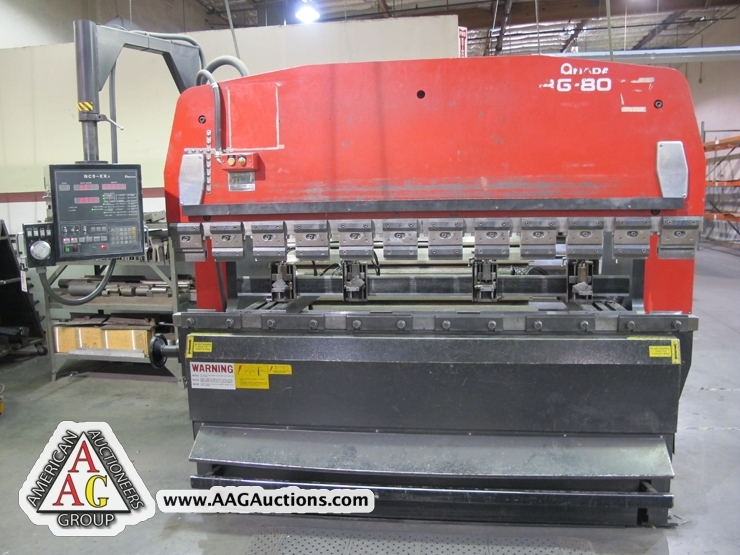 1984 AMADA RG-80, 8FT X 80 TON CNC HYD PRESS BRAKE, WITH 3 AXIS NC9EX CONTROL, S/N 805833. 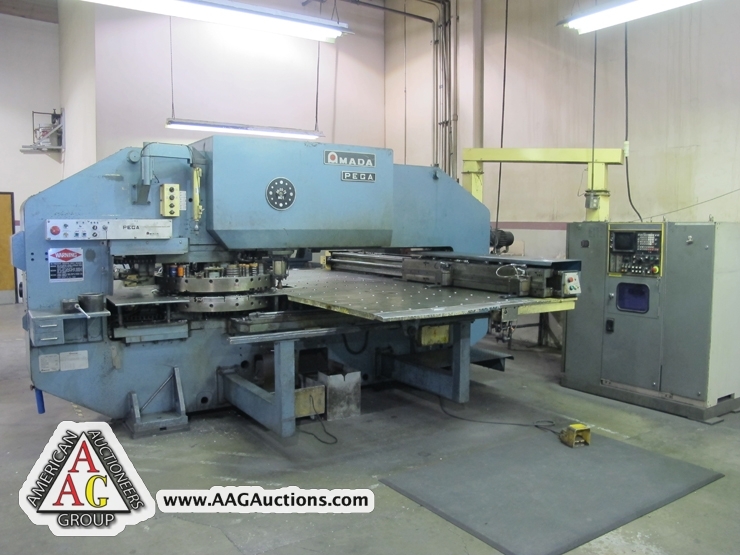 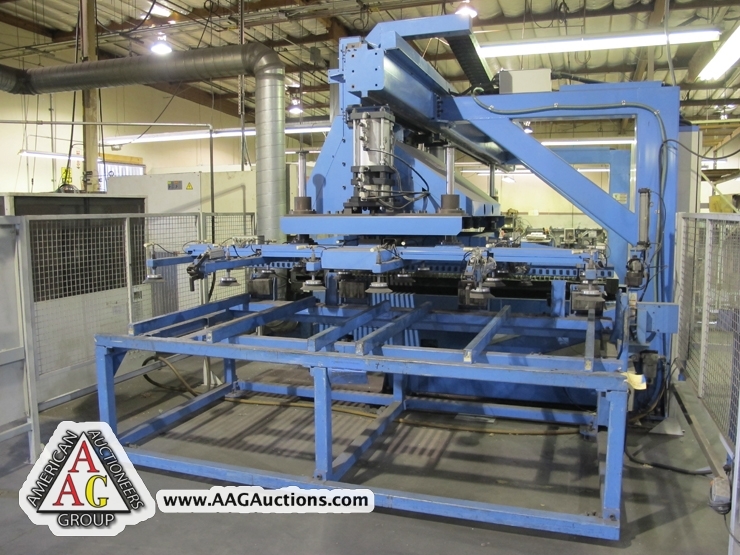 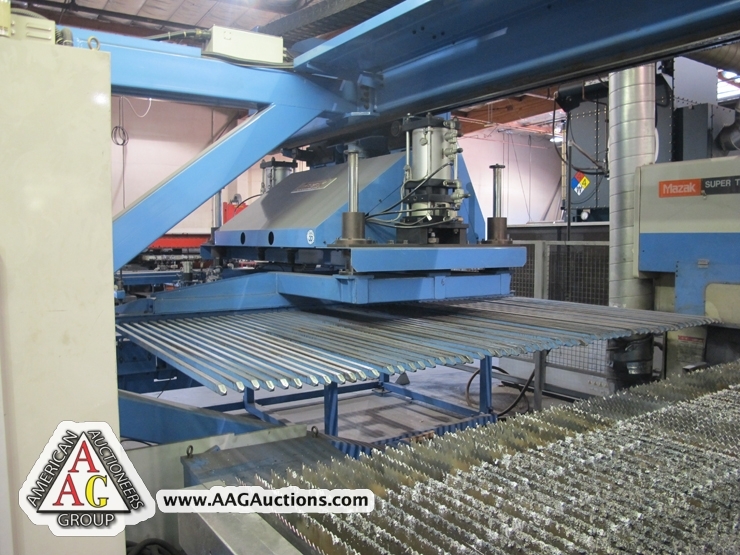 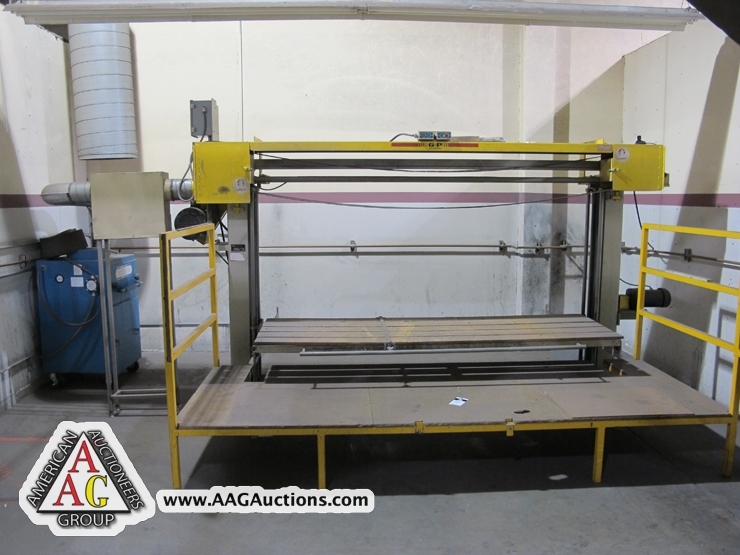 1994 AMDAD RG-50, 6FT X 50 TON CNC HYD PRESS BREAE, WITH 3 AXIS NC9EXII CONTROL, S/N 508755. 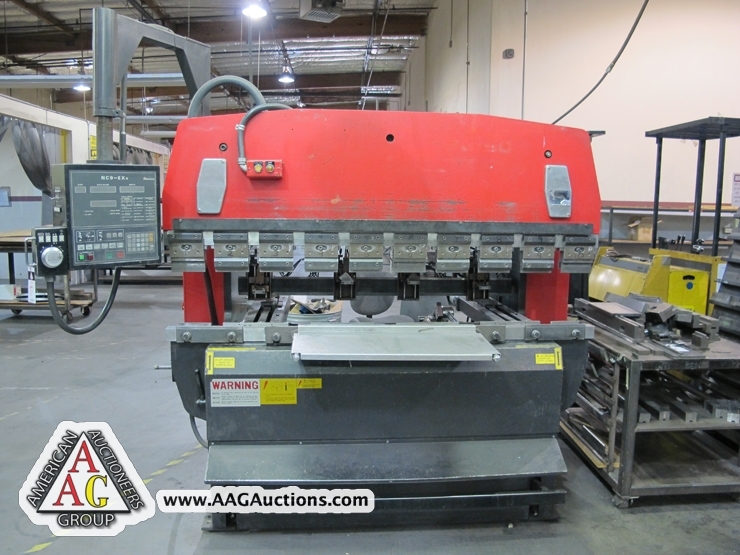 1989 AMADA RG-50, 6FT X 50 TON CNC HYD PRESS BRAKE, WITH 3 AXIS NC9EXII CONTROL, S/N 506972. 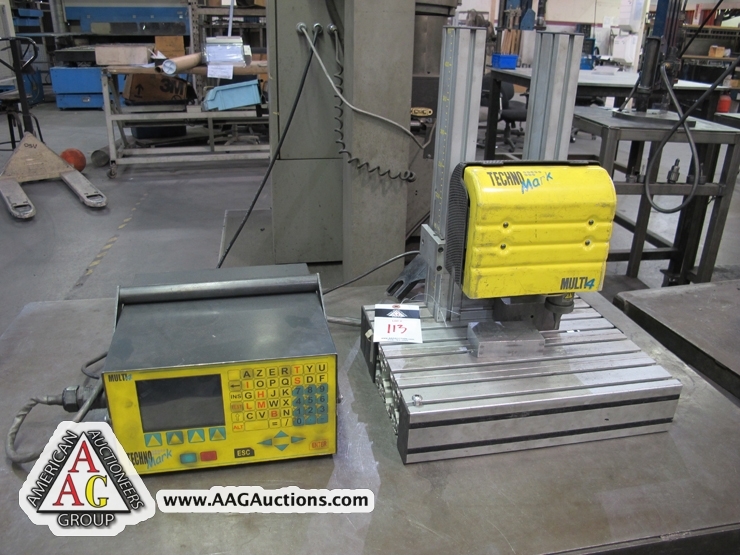 2003 FARO GOLD ARM CMM, MODEL GO8-02, S/N G08020001696. 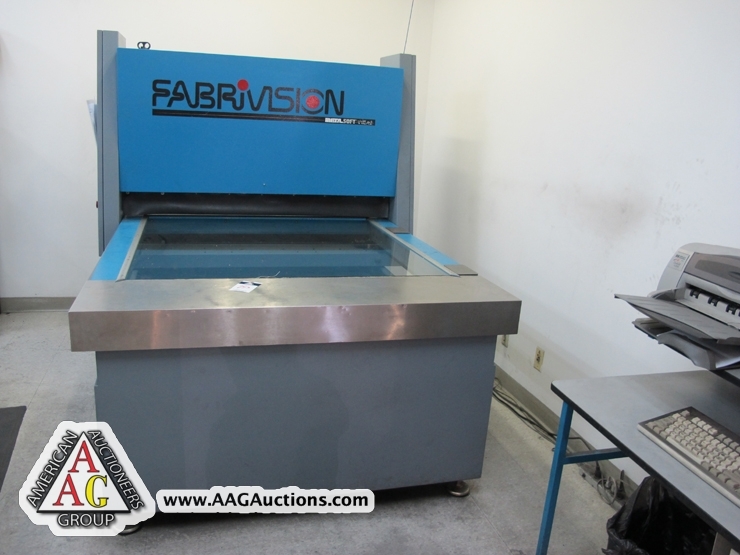 1997 FABRIVISION METAL SOFT SCANNER, S/N 2052. 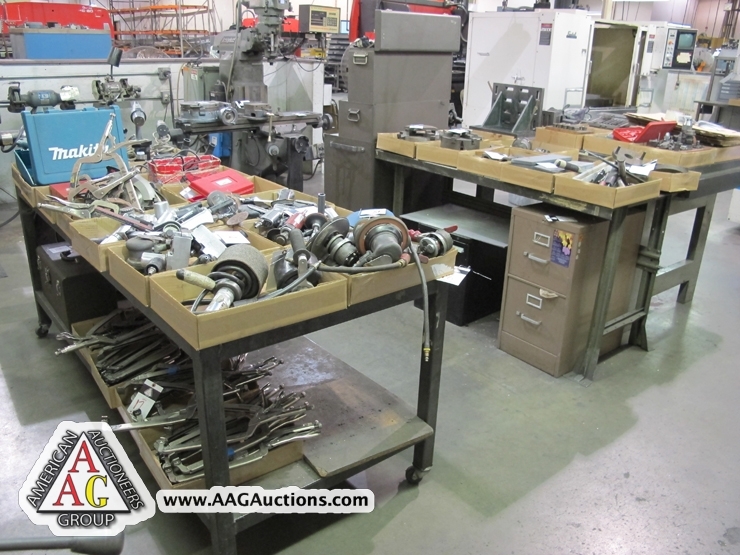 MICS, CALLIPERS, GAGES, PIN GAGES AND HEIGHT GAGES. 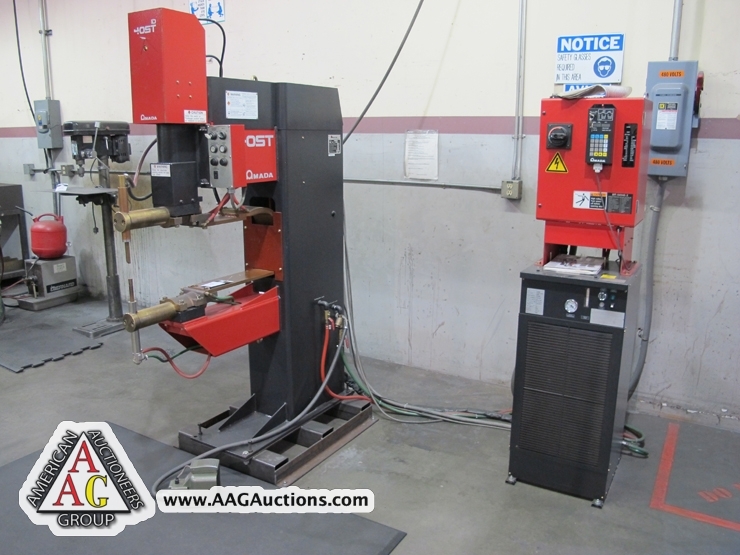 2004 AMADA MODEL ID40ST, 40 KVA CNC SPOT WELDER, S/N 40800257. 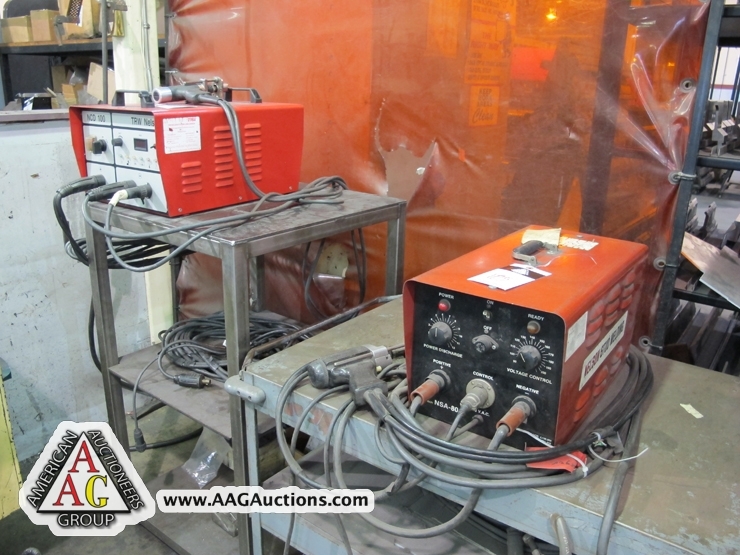 2) MILLER 250 MILLERMATIC MIG WELDER. 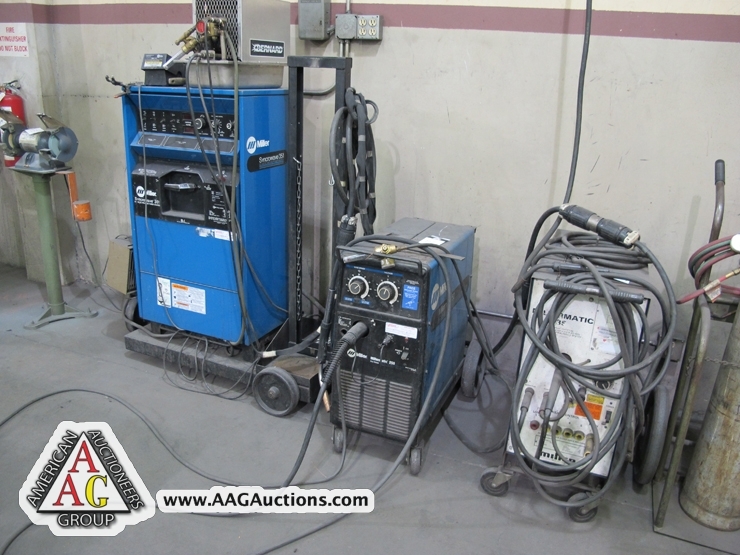 5) MILLER 250 AND 300 TIG AND MIG WELDERS. 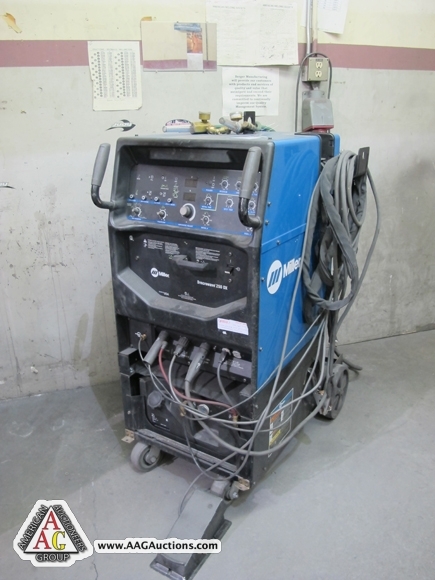 MILLER SYNCROWAVE 250DX TIG WELDER. 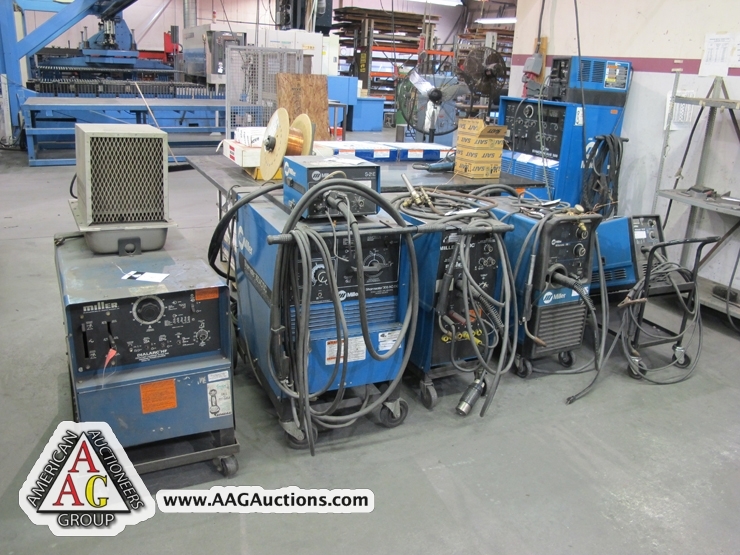 3) MILLER 300 SYNCROWAVE TIG WELDERS. 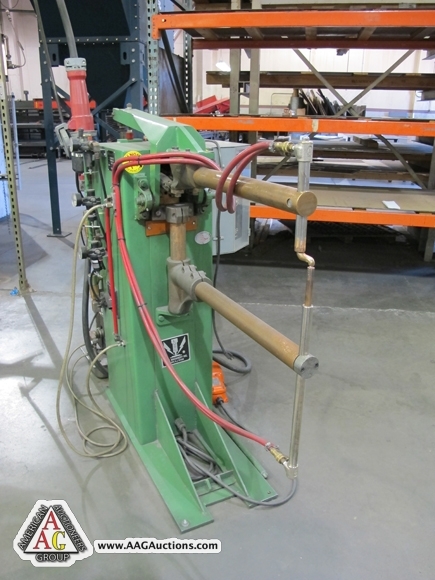 NELSON TRW NCD-100 STUC WELDER. 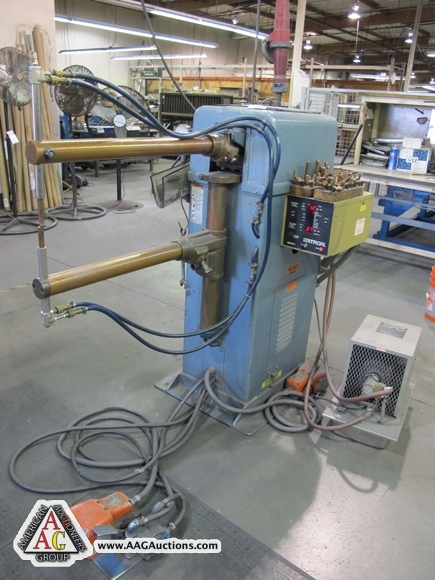 STYCO 30 KVA SPOT WELDER. 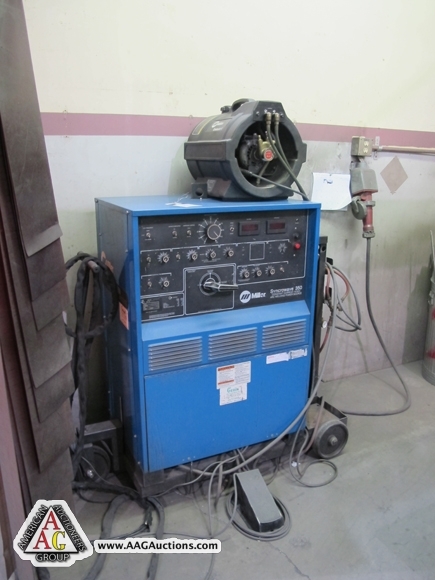 LORS 40 KVA SPOT WELDER WITH iii CNC CONTROL. 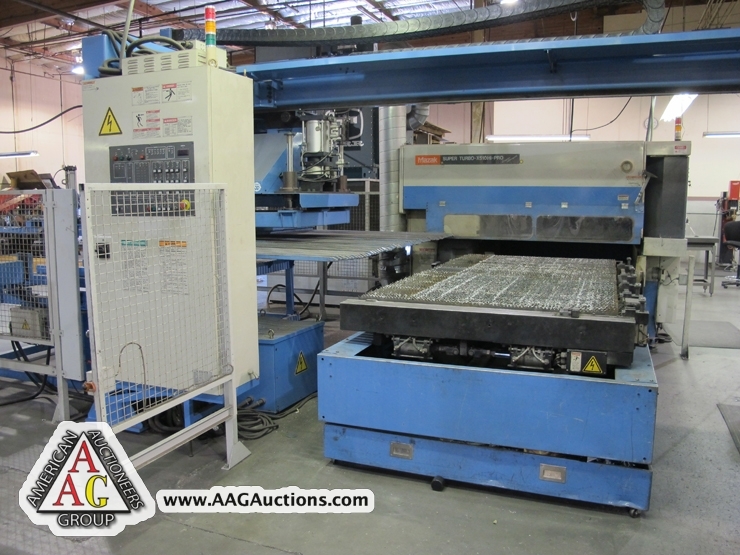 ACME 40 KVA SPOT WELDER WITH ENTRON CNC CONTROL. 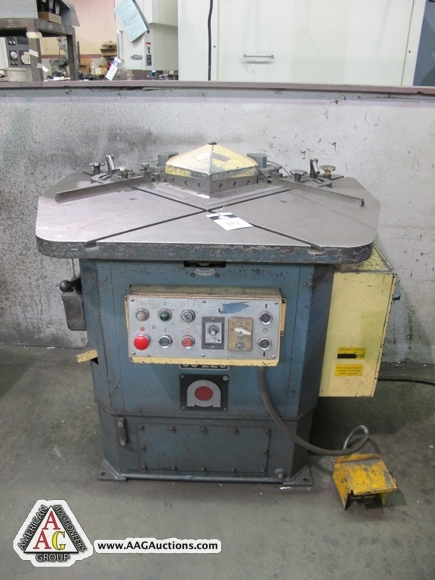 ROUSELLE NO 1A OBI PUNCH PRESS. 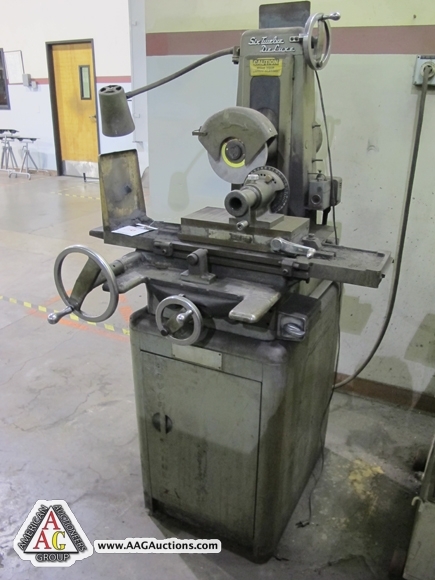 STRIPPIT SUPER 30/30 SINGLE END PUNCH WITH TOOLING. 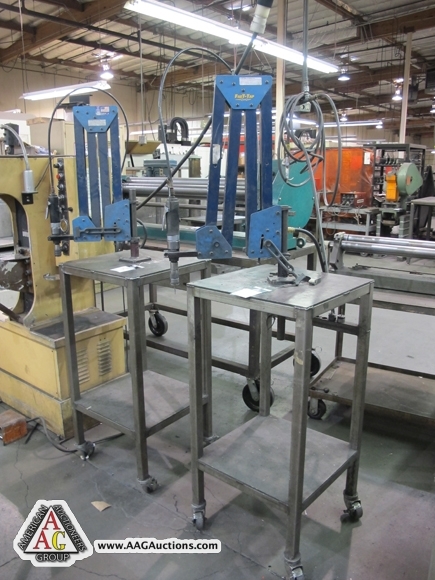 3) FAST TAP TAPPING MACHINES. 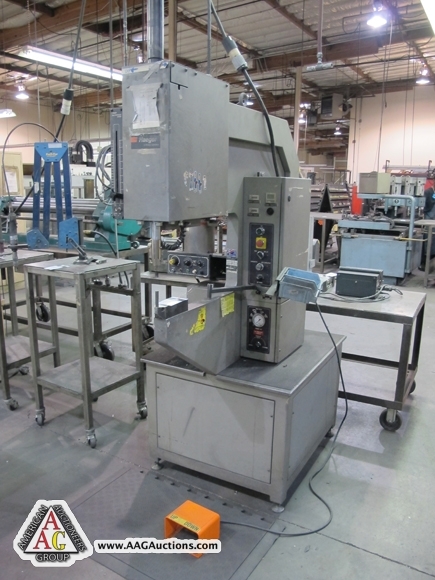 TCHNO MARK MULT – 4 ENGRAVING MACHINE. 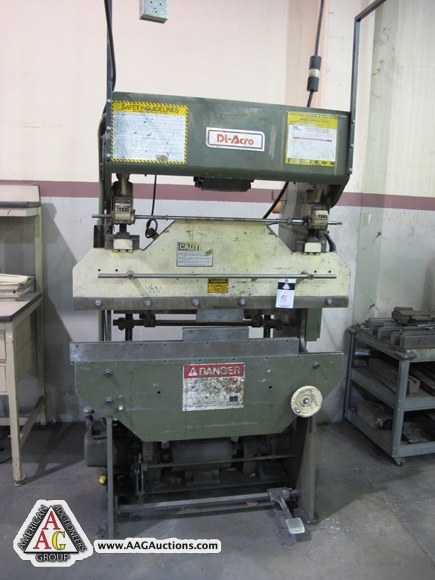 DI ACRO 114-48-2, 4FT X 14 TON HYD PRESS BRAKE. 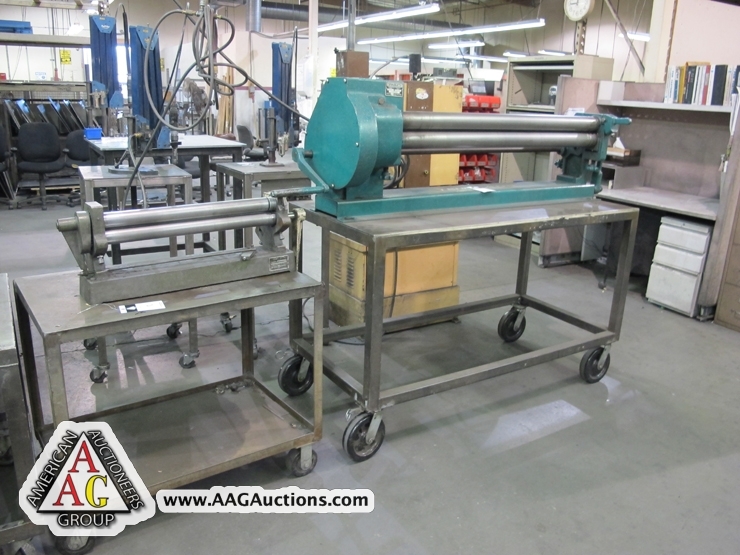 TENNSMITH SR48, 48’’ X 16GA, INITIAL PINCH PLATE ROLL. 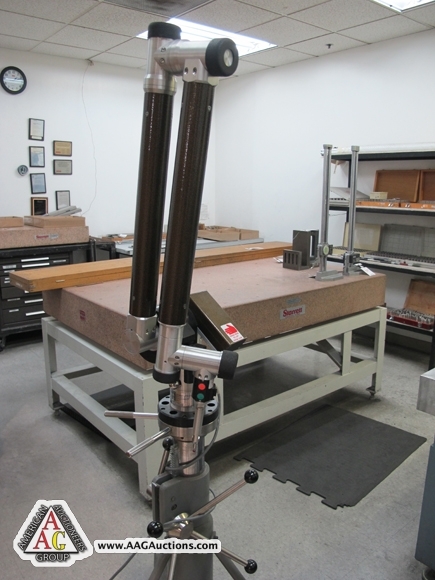 DI ACRO 24’’ PINCH ROLLS. 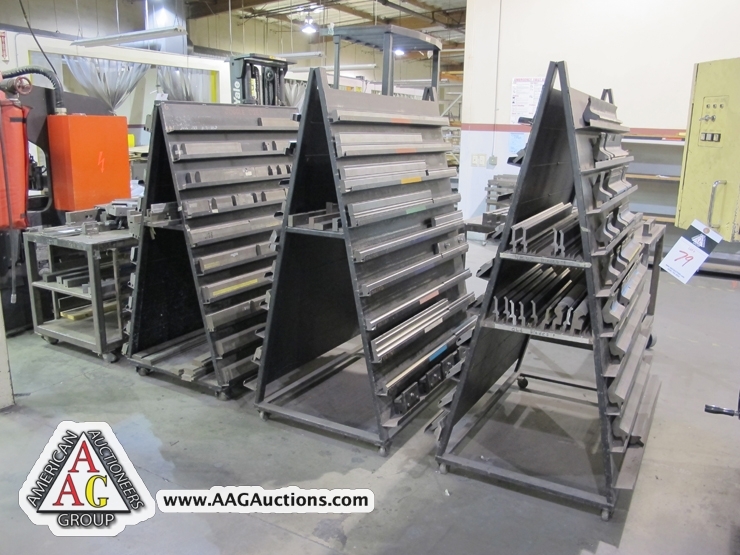 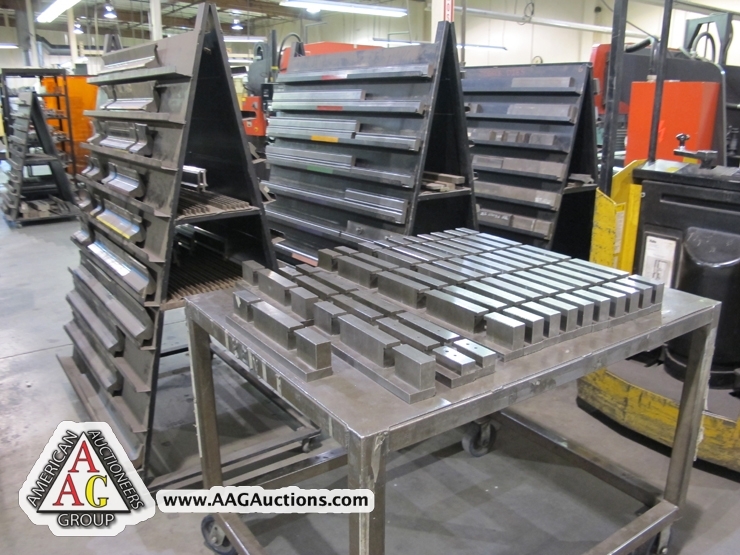 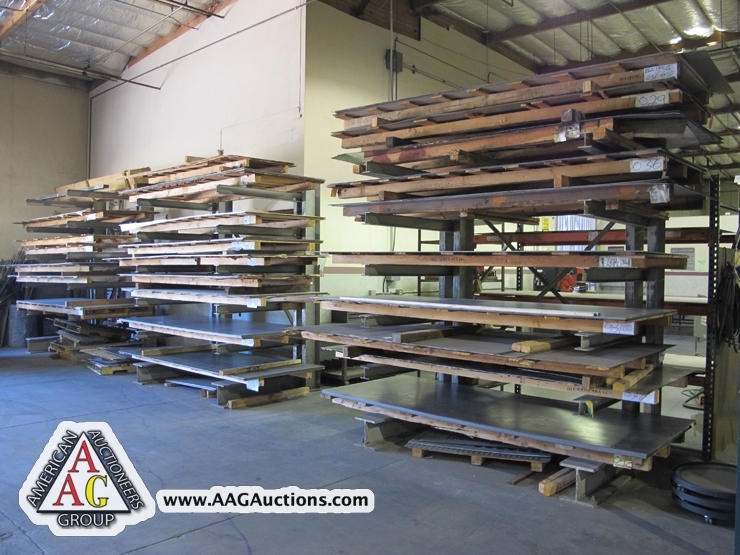 LARGE QUANTITY OF AMADA FORMING DIES AND PUNCHES/ DIES. 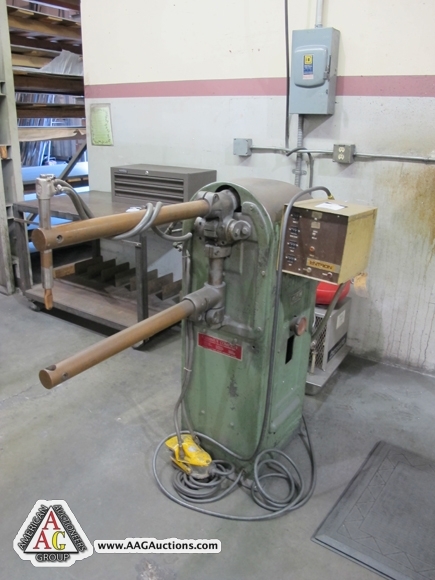 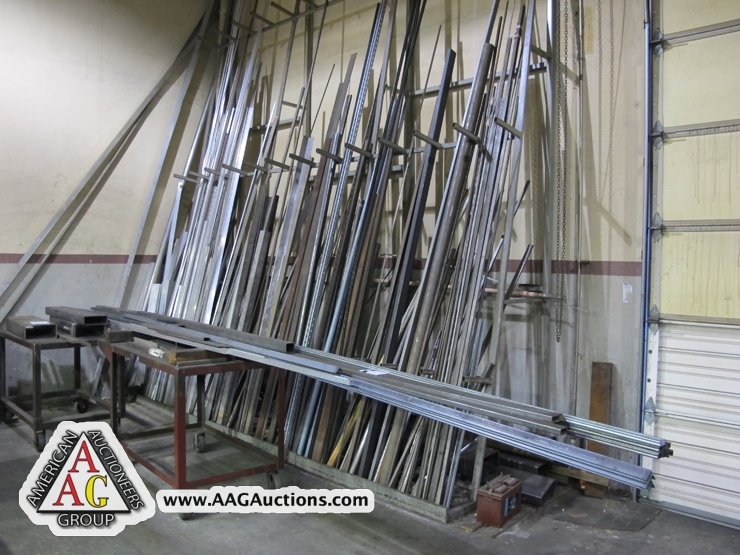 CINCINNATI 1410, 10FT X 3/16 MECHANICAL POWER SHEAR, W/ F.O.P.B.G, S/N 37326.